Mike Misuraca pitched a complete game for his AAA Salt Lake Buzz in July 1994, picking up the win, according to The Deseret News. The pitcher did so in just his second start at that level, having just gotten moved up from AA Nashville, The News wrote. "I would have to rate it up there as one of my best performances of the year," Misuraca told The News. "If feels good to pitch well at a higher level and it was the first time I've pitched all nine (innings) this year." It took him about three more years to get there, but Misuraca eventually pitched at the highest level, the major leagues. He picked up five relief outings for the Brewers in 1997, in his ninth season as a pro. 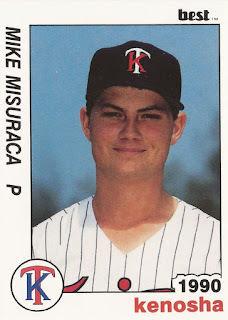 Misuraca's career began in 1988, signed by the Twins as an undrafted free agent out of Orange Coast College and Glendora High School in California. 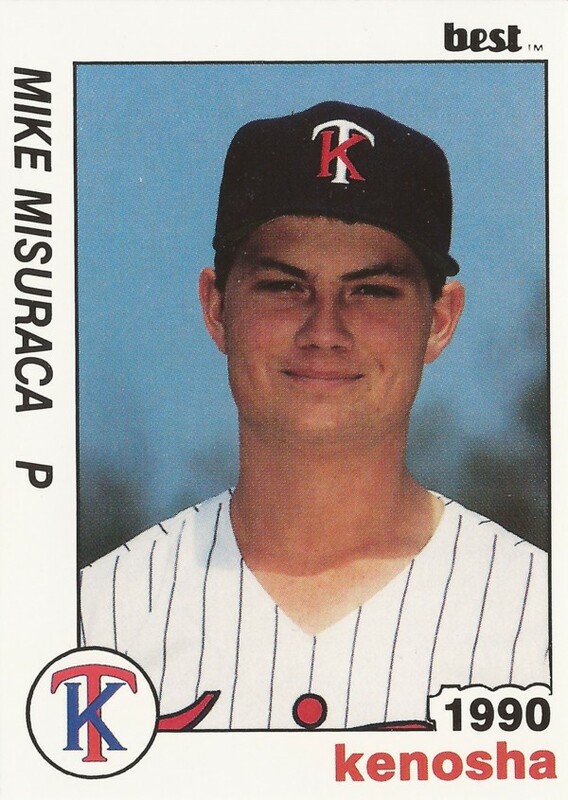 Misuraca started with the Twins in 1989, playing between rookie Elizabethton and single-A Kenosha. He went 11-8 in 22 starts between them. He returned to Kenosha for 1990. He then moved to high-A Visalia in 1991, going 7-9, with a 4.27 ERA that year. Misuraca made AA Nashville in 1993, going 8-4, with a 3.63 ERA. He threw a shutout that May, giving up just six hits. But Misuraca also battled a shoulder problem at Nashville, according to The Los Angeles Times. He tried to work through it himself, but it ended in surgery. Despite that, he made it back to the field for 1994. He also made it to AAA. "We were very surprised to see him ready as quickly as he was," Nashville pitching coach Rick Anderson told The Times. "It was like he didn't miss a beat from when he was healthy last year." Masuraca returned to Salt Lake for all of 1995. He then moved to the Brewers system and AAA New Orleans in mid-1996. For 1997, he returned to the Brewers and AAA to start the year. Then, in July, he got his call to Milwaukee. He debuted July 27 at Detroit. In 1.1 innings, he gave up one earned. Over his fourth and fifth outings, though, he gave up a total of 11 earned in five innings of work, marking the extent of his major league career. His playing career also ended with year's end. Misuraca went on to stay in the game as a scout, most recently serving as a scouting supervisor for the Reds.